Where Can I Find Kia Sorento SUVs For Sale Near Me? 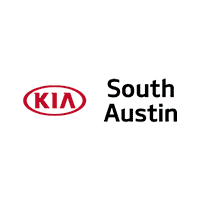 Are you asking yourself, ‘where can I find new & used Kia Sorento SUVs for sale near me?’ Kia of South Austin proudly offers an exceptional selection of new, used, and certified pre-owned Kia Sorento Midsize Crossover SUVs for you to browse and test drive in Austin, TX. The race for dominance in the midsize SUV market is a hot one and Kia’s entry is quickly rolling to the head of the pack. Offering a comfortable ride for five or seven passengers is just the start of Sorento’s offerings. In fact, with the Sorento’s variety of packages and features, Kia’s hot-selling family hauler could be better classified as the ‘fun-sized’ SUV. If variety is the spice of life, then the Sorento is overflowing with flavor. With seven trim packages, three powertrain versions, and an impressive collection of infotainment and convenience options, the Sorento is fully stocked with enough spice to season your life for decades to come. If you’re leaning towards a more economic commute, Kia’s 2.4-liter 4-cylinder will move you right past the gas pumps with its EPA rated 28 MPG. Need more juice to let loose on the highways? Put your foot into the Sorento’s 290 HP 3.3-liter V6 and make short work of your family’s next road trip. Kia has put their mouths where your safety is by making every single piece of their cutting-edge automotive safety tech the standard safety features in every single Kia Sorento. When you’re this committed to driver and passenger safety, you move from setting standards to being the standard. Stop by Kia of South Austin today and test drive a new, used, or Kia certified pre-owned SUV in Austin, TX. Our team of Kia professionals are ready to help you find the perfect vehicle. Search our stock online, visit our showroom, or call (888) 863-1154 to learn more. We look forward to serving you soon!